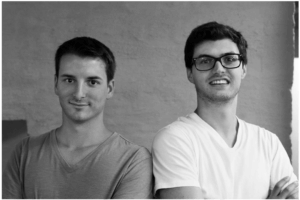 Faitron is a Swiss start-up focused on heating solutions in the food and consumer industry. Faitron has developed a lunchbox, HeatsBox, that heats any meal within 15 minutes – any time and anywhere. The company understands the convenient, modern lifestyle of today’s society and enables customers to eat healthy while saving time and money. Faitron cares about a customer’s well being and wants to help improve their lifestyle quality through convenient consumer products and a healthier way of eating. With the HeatsBox, Faitron is minimizing food waste and supporting sustainability within the food industry. In January 2016, Faitron decided to redesign its meaningful product. To achieve a sleek and modern design, Faitron partnered with the Chicago-based boutique design firm Rubrik Design. For the redesign, the team wanted to come up with a useful, yet distinctive and high quality product which allows the design to explain its own functions. The redesign is not just limited to a new design approach. This new design includes never before seen innovative features in the home appliance industry that have been protected in a second IP round including a second patent application. Faitron is excited to unveil the new design within the next few days. Most recently, Faitron successfully closed the first seed investment round for HeatsBox supported by private Swiss investors and also announced the official incorporation of its headquarters in St. Gallen, Switzerland. This sets a significant milestone in company history. Faitron is delighted to be able to work with smart money investors who understand the massive growing need of convenience, health and mobility. The funding will mainly be used to for finalization of the HeatsBox and the follow-up commercialization.